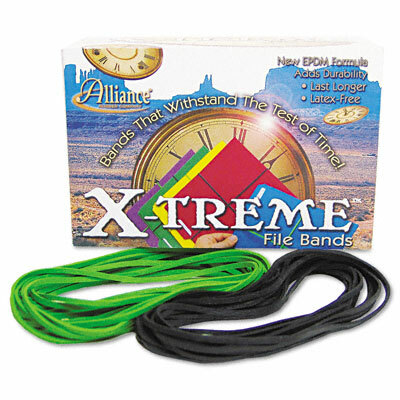 Remarkably durable, 100% latex-free rubber bands avoid allergic reactions. EPDM formula extends band life. Approximately 175 per 1 lb. box. Remarkably durable, 100% latex-free rubber bands avoid allergic reactions. EPDM formula extends band life. Approximately 175 per 1 lb. box.